Sidewalk Advocates for Life have put out a video arguing that the work of “rescuing groups” such as Red Rose Rescue is damaging to the pro-life movement. Of course they are to be commended for their dedication to saving the lives of the unborn and ministering to the women who seek abortion and those accompanying them. Their desire to protect the work they do is laudable. 1) that should rescuing groups continue their work, legal systems will push and push successfully to have buffer zones put in place around abortion mills not only for the abortion mills occupied by rescuers but mills in the near-by area and beyond. This would make it nearly impossible for side-walk counselors to have access to those entering abortion mills and thus many fewer lives would be saved. 2) They argue that such rescues are ineffective for saving lives; that the abortion mills quickly move the women into protected areas and abortions proceed apace. 3) They find the arrival of the police to be terribly upsetting to the women and the staff, who then view the rescuers as fanatical law-breakers, whereas those who come day in and day out in all kinds of weather to sidewalk counsel make a powerful impression because of their perseverance. These are not baseless concerns. Their concerns deserve a response. 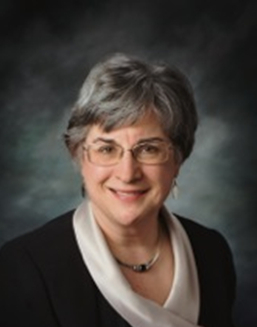 Prof. Monica Migliorino Miller who has served the prolife movement in nearly every possible capacity, filmed a brief justification for the action of Red Rose Rescue six months before the Sidewalk Advocacy Group produced its video. It is hard to imagine a more dedicated pro-lifer than Prof Miller. She has spent months in jail for her attempts to rescue the unborn, once as the mother of a newborn. She regularly jeopardizes her livelihood because of her actions and speech. She has organized national conferences; she has done thousands of hours of sidewalk counseling; she has financially supported single mothers at a sacrificial level; she has rescued the corpses of aborted babies from dumpsters and kept them in her apartment or home until she could provide them with beautiful burials; she has been responsible for the closing of several abortion mills by revealing their illegal activities; she wrote Abandoned, one of the finest books about the prolife movement. So clearly we cannot take her views lightly, not only because she has “paid her dues” but because her long term commitment to the unborn and sacrifices for them give her a special kind of knowledge. Thomas Aquinas argues that those who have a deep familiarity with a reality, can be said to have “connatural knowledge”, the kind of knowledge that someone who has worked with horses for years has of horses and those who have studied the qualities of wine, have of wine. Even if these people cannot fully explain their judgments, their judgments carry great weight. 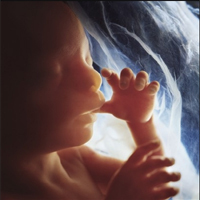 But, in fact, Prof Miller can fully explain her judgments in a voice and with a demeanor that powerfully convey her love for the unborn, their mothers and fathers. Prof. Miller’s most basic argument is that it is necessary to enter abortion mills to attempt to rescue the lives of the babies whose mothers are about to abort them. Prof Miller insists that those babies deserve a chance to live. Sidewalk counseling is not effective in saving those lives – and, in fact, the mills the rescuers have chosen to enter are not apt for sidewalk counseling. In attempted rescues she and her fellow rescuers find they can have up to 15 minutes or so to talk to the women in a loving, gentle, and helpful fashion. Sometimes the women cannot be herded by staff into a protected space. The rescuers have seen women leave the abortion mill – one hopes, never to come back. It strikes me that the most reasonable concern of the Sidewalk Advocacy Group is the possibility now or later, that such tactics jeopardize other more frequently successful rescues achieved by sidewalk counselors because they may result in buffer zones being imposed. Prof Miller states that such has not happened and that if and when it does it will be right to reconsider tactics. Why should we let the possibility of deterrence prevent us from saving lives? As for the claim that the presence of the police is a serious negative, Miller postulates that whether then or later, it is not unlikely that some of the abortion-minded women and staff at abortion mills might come to realize what great sacrifices the rescuers are willing to make to save lives. How can people accept that pro-lifers really believe in the humanity and right to life of the unborn, unless we are willing to make tremendous sacrifices for them? Certainly, doing sidewalk counseling requires sacrifice, but it is in no way equivalent to doing time in jail. There has always been a lot of disagreement in the prolife movement and that is to be expected. Should we show graphic pictures of aborted babies at rallies, during sidewalk counseling? Should we include mention of contraception in our literature, etc.? 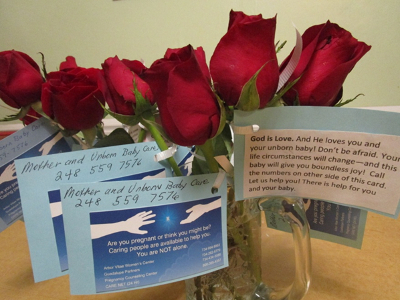 Should workers at pregnancy help centers mention God? Should we support compromise legislation? Concerning all these and other matters, people equally committed to stopping abortion have differing views. Yes, let us civilly share our views (as have both sides on this question) and respect the decisions of each other. But let us not prevent such heroic people as Monica Migliorino Miller and those who do rescue work from doing what they think is most effective in saving lives of the unborn. Prof Miller’s home-made video with her low-key but passionate reasonability won the day, in my mind. I challenge you to watch Monica’s brief video defending rescues and ask yourself if there is any justice in trying to deter her from rescuing.